All Take and Read book discussions will take place in the Large Boardroom at CMU in Winnipeg (2nd Floor, 500 Shaftesbury Blvd.). Take and Read is back for 2018/19! All Take and Read discussions are led by CMU Faculty Dr. Paul Doerksen, Associate Professor of Theology and Anabaptist Studies. The cost of the four meetings is $150, which includes books, dessert, and coffee. Should two people share the books, the second person will be charged only $40. For more information email sthiessen:@:cmu.ca or call 204.487.3300. Our contemporary world offers hope, opportunity, and freedom, but at the same time can feel like a world at odds, perhaps even chaotic, which in turn can generate anxiety and fear. In this year's Take and Read discussions, we will consider the resources the Christian faith has to offer in these exciting yet troubled times in which we find ourselves. a perceptive, imaginative exploration of 'final things' such as death and fear. Jacobs's positive belief that we are not doomed to be divided is chastened by his observation that many of our disputes occur because people "simply aren't thinking." 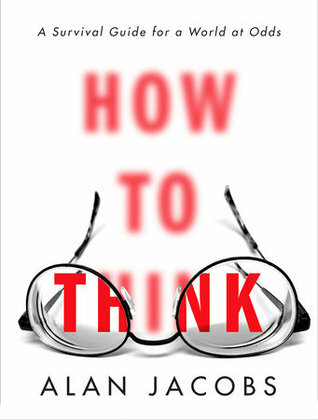 Thinking is hard—to think well, to resist forces that act on us to prevent thinking, to come to grips with the reality that good thinking can force us out of comfortable habits—these are all challenges that confront us, and, Jacobs claims, we're not as good at thinking as we assume. He therefore writes this 'contrarian treatise' to show "how recovering this lost art can rescue our inner lives from the chaos of modern life." Rempel, a Manitoba farmer, draws heavily on the radical Christian critics of culture and Christianity, Rene Girard and Ivan Illich, to show that the world simply cannot sustain a stable 'us' versus an alien 'them' construct if we are to avoid even further deterioration into societal chaos. Drawing on these two radical thinkers, along with his own Christian faith, heritage, and experience, Rempel assumes a vulnerable stance as he seeks to find a peaceful way of being in this world. He addresses a wide range of questions in provocative ways that challenge both the 'left' and the 'right,' always keeping before us the search for recovery, renewal, and friendship. While Bowler's personal memoir carries a very different tone than her previous book, Blessed, a scholarly study of the prosperity gospel, the two books are connected in ways she could not have imagined when the first one was published. 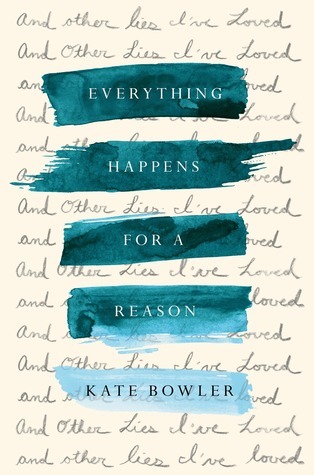 Bowler struggles to come to grips with her serious cancer diagnosis, and in so doing finds herself confronting her own tacit embrace of attitudes and theological beliefs that simply cannot be sustained in the face of the very real uncertainties that appear in her life. The reader is then also confronted with a kind of immediacy, a funny, sometimes dark, always compelling account of facing the prospect of mortality very directly. 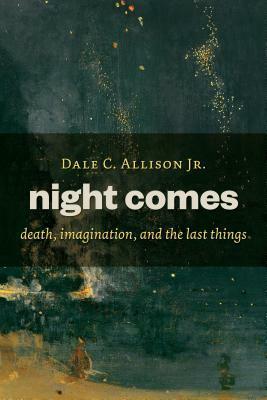 Allison's wide-ranging, personal, literary, imaginative, and smart book faces a number of questions concerning truly final things, including death, resurrection, judgment, and destiny. Allison's work is very thoughtful, deeply personal, and acts as a kind of compassionate meditation, which "makes a profound witness to the ultimate mysteries—and certainties—of religious faith." Throughout, Allison seeks to offer hope, although not hope without content.